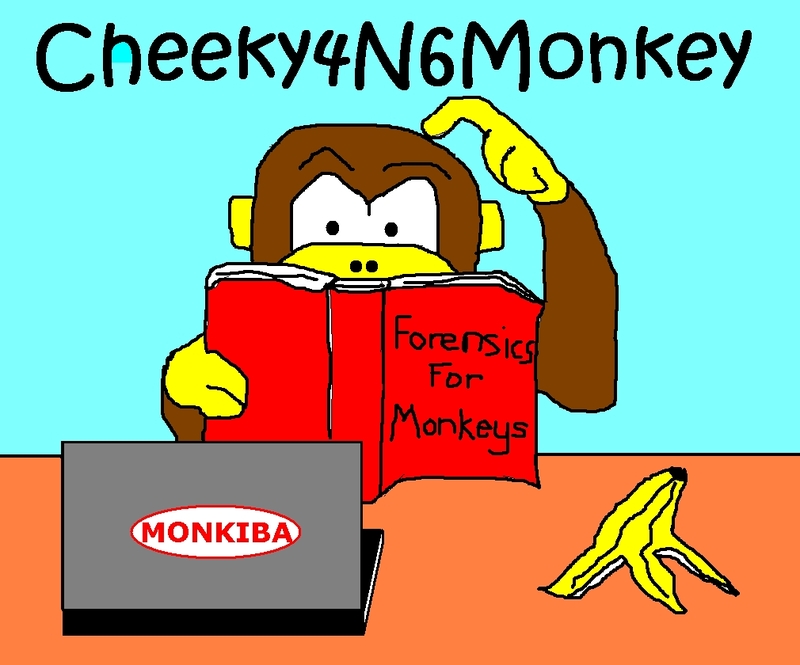 Cheeky4n6Monkey - Learning About Digital Forensics: Chunky4n6Monkey! With some substantial assistance from Boss Rob and inspired by Mission Impossible ... Enter the Chunky4n6Monkey! This post is targeted at those particularly interested in Python programming. If you are looking for a forensic wonder-tool post, you could be bitterly disappointed (yet again!). Special Thanks to Rob (my boss and Hex Ninja Sensei) for kindly sharing his work which was the basis for this post. After experiencing a few reversing/carving jobs, it seems that there's common theme. Usually, the analyst wants to search a file for a given set of values (eg magic hex number) and then process the surrounding data accordingly. Complicating matters is that as storage media grow in size (especially in mobile devices), it is not always possible or timely to read the whole contents of a file into memory for searching. While Python does allow you to read files line by line, this is not really conducive to searching for (long) strings that cross line boundaries. Rockin' Rob's method for handling these large files is to break them up into chunks but read slightly more than a chunk size (ie chunk size + delta). This way if a hit starts at the end of one chunk and crosses the chunk boundary, we can still find it/log it for later. Note: The delta must be at least the same size as the largest record that is being searched for. Worst case scenario, the very last byte of the chunk contains the first byte of the search term - which means making delta as big as the largest record. OK, first we are going to look at a theoretical chunky situation, then we will look at developing a utility (chunkymonkey.py) that can help us select one of two search algorithms and also help us to optimize our chunk size. Finally, we will implement our newly selected search algorithm and chunk size in an existing Windows Phone 8 script (wp8-sms.py) and compare it with the previous un-chunkified version. You can grab the chunkymonkey.py script (and the updated wp8-sms.py script) from my GitHub page. Here we have a file which is divided into theoretical 16 byte chunks plus some extra bytes. The search term we are after is the three bytes 0x010203. They occur three times - once entirely before a chunk boundary at offset 12, once where it overlaps a chunk boundary at offset 31 and once right at the start of a chunk boundary at offset 48. These three conditions simulate the possible chunk boundary situations. Our new chunkymonkey.py script will read a file chunk by chunk and if the search term starts before the end of a chunk boundary, it will log the file offset for later processing. If the search hit appears after the chunk boundary we ignore it. If the search hit starts after the chunk boundary but within chunk size+delta, we also ignore it as the next round of chunk processing should also pick it up. We are also going to evaluate a couple of different search methods to see if we can speed our chunk searches up. The first one "all_indices" relies on the string.find method for finding substrings (think of the contents of a file as one big hex string). This was *ahem* "re-used" *ahem* from a recipe listed on code.activestate.com. The second method uses a compiled regular expression pattern. For more on Python regular expressions, you can read the documentation HOWTO. For benchmarking purposes, we are going to call these two functions from sliceNsearch (for "all_indices") and sliceNsearchRE (for "regsearch"). These slice functions are going to read the specified file chunk by chunk and then call their respective search function. If the file size is less than one chunk size, the entire file will be read and searched in one go. Once the search function returns a list of hit offsets (relative to the current chunk), these offsets will be converted to the equivalent file offsets for later processing. For comparison, our new script will then also do a full file.read (ie no chunks) and process the resultant file string using the "all_indices" and "regsearch" functions. These wholeread functions can take a while to run so we can comment out those calls (to "wholereadRE" and "wholeread") later. The goal is to compare the times taken when searching for hits in chunks Vs searching for hits via full file reads. The secondary aim is to figure out which search function is quicker ie "regsearch" or "all_indices". Both the sliceNsearch and sliceNsearchRE chunky functions found the same hit offsets. To save space, I have commented out the part which prints each hit offset but rest assured that all hits listed were the same. The wholeread (one big file.read) function calls to the "all_indices" and "regsearch" functions also found the same hits. This proves that our new chunky functions will find the same search hits as the file.read (wholeread) functions. Python has an inbuilt profiling module (cProfile) which provides timing information for each function call. By using this, we can see which search method and chunk size is the most time efficient. However, as the example bin file is not very large, let's try finding the optimum search algorithm/chunk size for a 7 GB Windows Phone 8.0 image instead. The test system is a i7 3.4-3.9 GHz with 16 GB RAM and 256 GB SSD running Win7 Pro x64 and Python 2.7.6. Note: For Python 2, there appears to be a size limitation on (chunksize + delta). It must be less than ~2147483647. OK so let's try running chunkymonkey.py with a 2000000000 byte (~2GB) chunk size and 1000 byte delta size. The search term is "53004d00530074006500780074000000" ie UTF-16LE for "SMStext". That's a LOT of output eh? Don't worry, we're only interested in the respective lines which contain the sliceNsearch, sliceNsearchRE, wholeread and wholereadRE functions. We're also going to focus on the "cumtime" column. This is the cumulative time spent in the function (not what your twisted mind first thought eh?) and thats the figure (highlighted in red) that we will use to compare the various runs with different chunk sizes. Delta was consistently set at 1000 bytes. From the results above, we can see that the best "cumtime" is for a chunksize of 2000000000 bytes and using the chunky sliceNsearchRE function (which calls the "regsearch" function for each chunk). Note how the wholeread times are much larger than either the sliceNsearch or sliceNsearchRE times. Anyhoo, that's all well and good but how much difference can it make to an actual script which also has to process the hits and not just find them? We modified our previous Windows Phone 8 SMS script (wp-sms.py) to use 2000000000 byte chunks (with 1000 byte delta) and modified it to call the sliceNsearchRE function. We then captured the cProfile stats. Note: Total time was 56 seconds. 33 seconds of which were spent in the file.read function. And after chunkification, it ran a lot quicker! Note: The number of SMS extracted from the original and chunkified versions of the wp8-sms.py script were consistent. As a result of this additional testing, I have also adjusted the chunkified version to search further for received SMS timestamps. ie it should now better detect received timestamps. Exciting times! It took 37 seconds - much less than the previous version's 57 seconds. Most of the time was spent in sliceNsearchRE and not in processing the hits. The revised wp8-sms.py script was also run on a single store.vol file (18 MB) and the output results matched the previous version's output. Both scripts processed almost 6000 SMS in ~7 s.
A new tool (chunkymonkey.py) was written to help determine the optimum chunk size and search algorithm for finding a hex string in large binary files. Due to Python 2 limitations, the maximum chunk size has to be less than 2147483647 minus the delta size. Code from the tool was re-used/applied to an existing Windows Phone 8 SMS script (wp8-sms.py) and significantly reduced the processing time. Further reduction of processing time may be possible in the future by utilizing threads (a way of concurrently calling multiple functions) however, this could make some already hack-tacular code even more complicated. Over the next few hours/days, I plan to update/chunkify other selected Windows Phone scripts (ie wp8-callhistory.py, wp8-contacts.py) so that they can also run quicker against whole .bin files. I won't bother creating a new post for that though as the principles are already outlined here. Have now updated the "wp8-sms.py", "wp8-callhistory.py" and "wp8-contacts.py" scripts to read large files in chunks. Updated code is now available from my Github page. Fixed a bug in the latest chunkymonkey.py and chunkified wp8-sms.py, wp8-callhistory.py, wp8-contacts.py scripts. The bug prevented the last chunk from being parsed properly. Have also updated the results in the post to reflect the revised code performance. Warning: The offsets for Windows Phone 8.10 appear to be slightly different to those for 8.0. Consequently, the updated wp8 scripts may have issues parsing WinPhone 8.10 images. Thanks again to Boss Rob for sharing his work! Thankyou for sharing your findings. I have re-checked some sample data and observed that the sent/received flag appeared after FILETIME2 (not FILETIME1). This was from a Windows Phone 8.0 phone. Thanks, I had not seen that. Lol, where was that 2 months ago? It may be the most beautiful thing I have ever seen. I am working on merging your python scripts, I was wondering why you didn't just use a single regular expression to match the message format? The way it is currently written was the quickest way I could think of to minimize the update / debug / comment cycle whilst we were still determining the overall structure. In the end, I was just happy the script parsed things accurately. I wasn't too worried about the speed as it still beat parsing the store.vol file manually. It should be interesting to see how much of a speed improvement the threading can make. But to be honest, I am not too worried if it takes a few extra seconds without the threading and am content to leave things as-is. Do you have any ideas for how the offset and size of store.vol can be determined from the bin file **programmatically**? I am modifying your script to recognize deleted messages and I need a list of not deleted to compare to. If all else fails I can use a tool. But I would rather the user not need that extra step. Knowing the offset for store.vol may not necessarily tell you if an SMS record has been deleted. I don't think you can claim 100% that every record found outside the store.vol was deleted. For example, if the record exists outside the store.vol (eg in a ESE journal file or pagefile.sys), it would be difficult determining if it was deleted or allocated to a temporary record before it was committed to the actual database. I am not 100% sure about this but records found within the ESE database could possibly be marked for deletion but still present in the database file as ESE databases can be left in a "dirty" state requiring repair via log files before they can be read OK. It really depends on how this particular flavour of ESE databases works and would require further testing. Ok I think I see your point. But can't we say that most are? And most is all we really need to try to find that deleted flag. Ok feel free to to just not approve the last 3/4 messages I have posted. Not really giving useful insight. Although, I don't remember where, but I believe I did read that ese databases just wait a few days then clean then do the cleanup automatically. So, if we just take a physical dump after a few days, it is that cut and dry (in the event that you don't have that idiom, it means simple, which I probably should have said to begin with). Additionally, I have, on my test phone, tried sent then immediately deleted messages and within an hour I took a physical dump. The message was not in store.vol. Side note, it wasn't in unallocated space either, which seems to indicate that the text of the message is immediately wiped out. This is suppored by message sized fields of 'DD' chars appearing throughout store.vol. If I interpret this correctly, it indicates that: A we can make the assumption that M≠store.vol→M=deleted. And the only reason any deleted messages are recoverable is Wair-leveling. So again, not 100%, but maybe 95%? Regarding wp8-contacts and wp8-1-contacts scripts. They do not work properly for extracting proper data. I currently have Lumia 820 userdata partition dumped via JTAG with store.vol extracted and both manage to get either only the contact name (name,surname format), sometimes part of the address like a country but no phone number at all. I've no idea what WP version that phone has as it has a broken screen and i can't get in normally, but it's been the same with Lumia 620 (i even offered to send you a dump file in e-mail some months ago, still have it if you're interested) and those scripts acted the same. Those data can be extracted using esedatabaseview since it seems to be parting store.vol properly but digging through it, when there are 134 columns with data and they're described for example "00e3001f" or "00f9001f" and similar and the same data is often in multiple columns (contact name is at least repeated 4 times, phone numer 2 or 3 times) is a bit messy. Sometimes, a column that seems to contain a phone number suddenly contains an e-mail address. Than 820 is a simple one since there are only 322 contacts, most of them only containg a single phone number, but that old 620 have over 2000 entries with lots of additional stuff like few phone numbers, address, custom descriptio, occupation or some not owner made for each contact. I ended up parsing it manually, stripping most of the stuff and limiting to only name, 2 phone numbers and some basic contact info where i saw it since phone was beyond being repaired (salt water did it's job quite well) but it would be good to have something to eextract all in automatic way. I'm currently wring a small script to parse HTML (seems tbe be the easiest to parse) file exported by esedatabaseview from contacts table in store.vol so ifyou maybe have any "official" description or more info than me on which column stores exacly what, it would greatly help. As far as I know, there is no "official" description of the store.vol format. We had to reverse it using the only data we had so there was always the potential that it would not work for all phones/datasets. Our main focus for the contact parsing was the phone number and names (again, based on our test data). Fair enough, in fact i expected it to be that way. I'll work with what i have to get best results since the same table description seems to always have the same type of data. This will at least help me to automate stuff for the future and get at least the most usable data i can think of at the moment. Still, if you're interested in either full dumps of that Lumias 620 and/or 820 or only store.vol from them to improve your scripts as well, i don't mind sharing them. 10 low-budget cybersecurity hacks to protect your small business - The post 10 low-budget cybersecurity hacks to protect your small business appeared first on Gillware Digital Forensics. 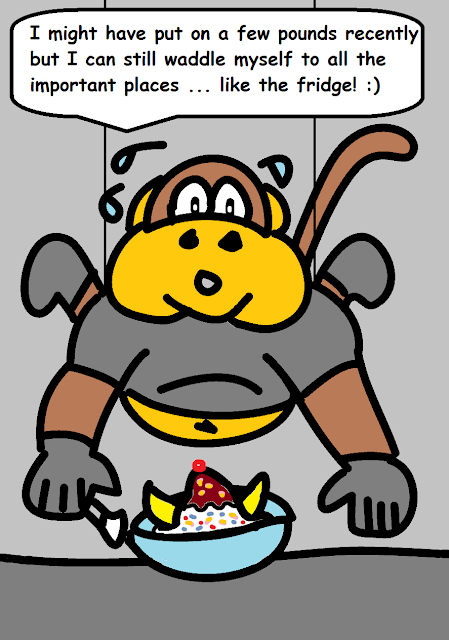 The views expressed in this blog are just the personal ramblings of one particular tired (and probably hungry) forensics monkey. Should this monkey have an employer and/or join a professional organisation, this blog will NOT represent their views or opinion.